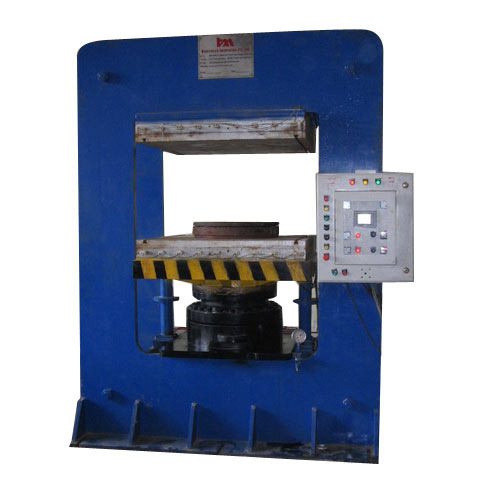 We design the best possible types of user friendly Heavy Duty Hydraulic Press. This particular product is mainly used in the various industries for changing and feeding applications. Our product is tested for safety and provides a warranty for longtime use. We provide this press with all these properties at reasonable prices. Hydromech Automation Private Limited, was established in the year 1985 for manufacturing and exporting a wide array of Industrial Hydraulic Presses and Accessories. We offer Rubber Compression Molding Presses, Rubber Transfer Molding Machines and Hydraulic Forging Presses under our array of offerings and find application in molding of rubber, encapsulated electronics, medical products and many others. We export our products in USA, Chilly, Australia , Poland, Saudi & UAE countries. We have equipped our infrastructure with a wide variety of machines for carrying out the production process in a hassle-free manner. We with our rich and diversified experience have brought forward machinery as per the set industrial norms and with advanced features. Ensuring our clients flawless products has been our prime target from the very first day and owing credit to these principles, we are now a global name. In the process, we have developed our own R & D lab. Our young hard- working personnel are instructed to carry out the whole fabrication procedure following international parameters. Innovative ideas along with commitment & dedication of our experts, is our key to success. Our large client base comprises of Senior Rubber Industries, Starlight Rubber Pvt. Ltd. and Modi Rubber Ltd.